Hotels and the travelers who frequent them bear little resemblance to their counterparts from just a few years ago. 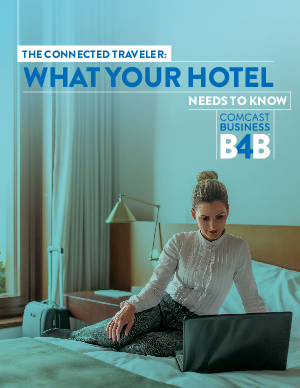 The explosion of new technologies has allowed hotels to change the way they operate and has made the average traveler more techsavvy and connected than ever. Mobile devices are driving this innovation. Not only have mobile devices changed how people interact with each other, they also have changed how people expect businesses to engage with them. According to SmartBrief, 40 percent of hotel guests carry three or more mobile devices. And with global mobile data traffic growing 30 percent every year according to Cisco, there will be an estimated 4.9 billion mobile users by 2018. When these mobile users travel, will they choose your hotel? Only if you have the mobile amenities they demand. In this white paper, we will review three mobile trends that every hotelier should address, and we’ll offer recommendations on how to best address them.